CHICAGO—There is a high demand for class A properties in the suburbs, especially in the Oak Brook area, where tenants have few options on the eastern end of the market. This portion of the Oak Brook submarket remains in very high demand. 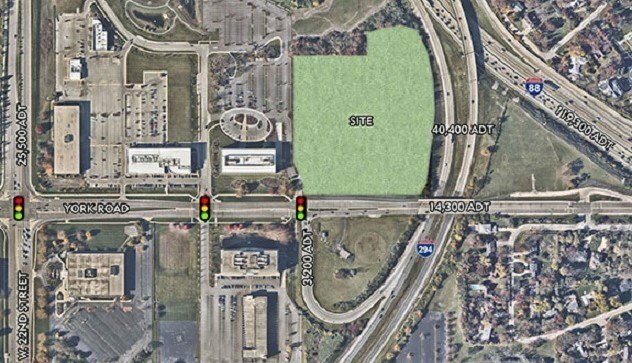 CHICAGO—Ryan Companies US, Inc. has acquired 11 acres of land at the I-88/I-294 interchange in suburban Oak Brook, one of the region’s hottest office markets, and plans to develop a combined office/medical campus that will include structured parking. Officials from the Naperville, IL-based company say the class A development will likely to have a construction volume exceeding $70 million. According to NAI Hiffman’s year-end office market report, the overall vacancy in the East West Corridor was 18.96% and only 16.5% in the Oak Brook area. The class A vacancy in Oak Brook was just 14.1%. Furthermore, tenants looking for large contiguous blocks of class A space have very limited options on the eastern end of the market. In addition to owning the property, Ryan also will provide development, design-build and real estate management services. NAI Hiffman will serve as broker, and Wright Heerema Architects will provide architectural services. Convergent Capital Partners, a real estate private equity firm headquartered in Tampa, FL, sold the property, which it had acquired in June 2013. Ryan plans to raze the existing industrial building and surrounding parking lots.